Wells House has something for all generations to enjoy and share. Wells House can boast over 300 years of history, built in the late 1600s by John Warren who owned more than 6,000 acres of land in the area it was purchased on his death by the Doyne family who then lived there, and engaged renowned English architect, Daniel Robertson to completely redesign the house during the 1830’s. It was Robertson who designed the house standing at Wells today. 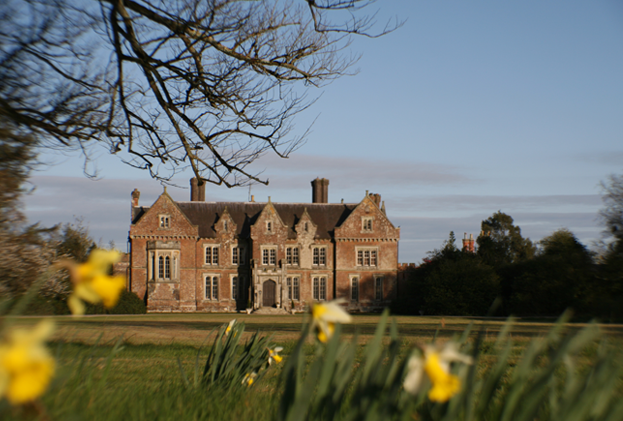 The Doynes lived at Wells House for 260 years, until 1965 when the Rosler family bought the house and lands. The current owners father, Gerhard Rosler, a hardworking and innovative German industrialist, moved to Wells House with his family in 1965. Wells Estate which incorporates the House is 450 acres (inc. 100 acres of Woodland) and is owned today by Mr. Uli Rosler, who lives in Wells House with his wife Sabine. Uli Rosler has always had a love of farming and nature, and he operates a working farm at Wells.